Handmade by Cherokee Silversmith Gerneral B. 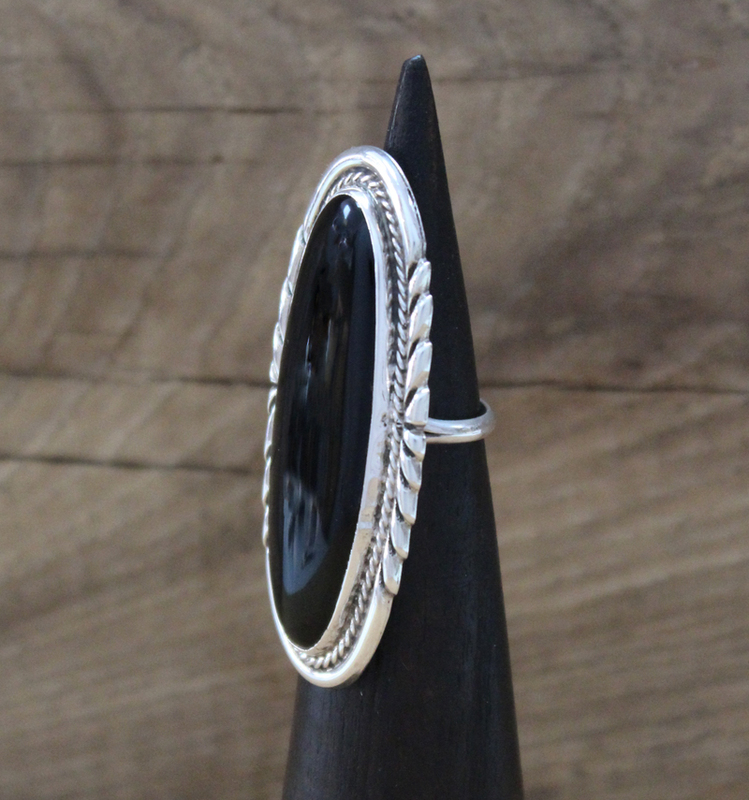 Grant, this ring is handcrafted with sterling silver. 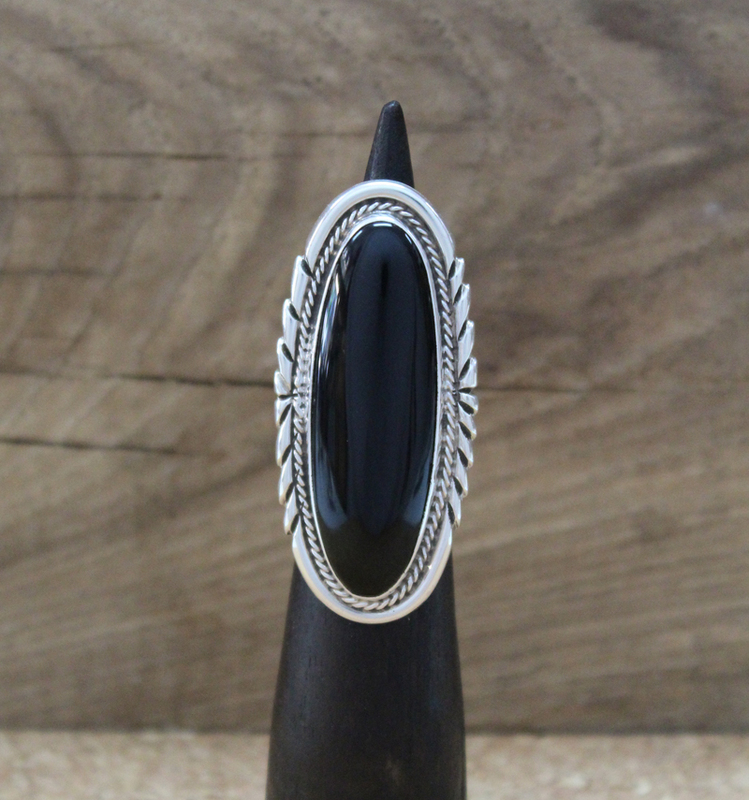 It features a large handcut long oval Black Onyx cabochon. This ring is a size 5 3/4 but can be resized upon request.